With bated breath Boston Bruins fans watched the hours, minutes and seconds tick off the clock. Marquee names such as Jonas Brodin, Duchene and Landeskog had all been attached to Bruins rumors ahead of Saturday’s roster freeze. Brodin was of particular note, considering Boston’s need for a left-handed defenseman in their top four. Despite their best efforts, no moves were made during a tepid and relatively-anticlimactic trade window. The good news? It’s hardly the end of the world. Boston is still in an excellent position to withstand the expansion draft. They’re also in great position to make waves leading up to and through the entry draft. Though acquiring a player such as Brodin would have been a boon to their blue line, the cost of his acquisition was apparently too steep for Boston and 28 other teams. Comparatively speaking, Boston is in a great position — they’ve timed their “soft rebuild” perfectly. With every team in the league set to lose a player for nothing, Boston’s bevy of players who are draft-exempt coupled with a lack of elite depth provide Vegas with few tantalizing options. Their current roster may not have translated to a bunch of wins in recent memory, but that’s another conversation altogether. When a team’s worst-case scenario involves losing a bottom pairing defenseman, bottom six forward with a hefty price tag or a goalie prospect who has thus far failed to materialize into an NHL-caliber player…things are pretty cushy. Take a look at the Minnesota Wild. 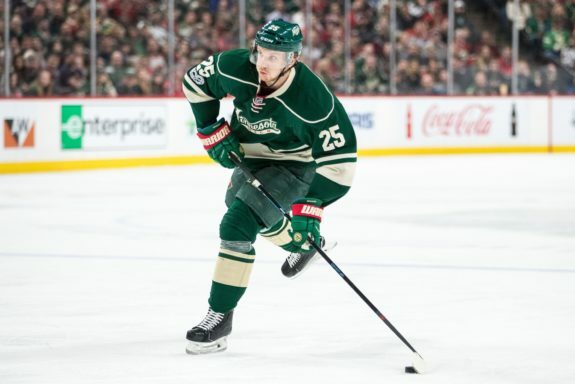 Depending on how they wish to format their protected list, the club likely stands to lose one of Jason Zucker, Charlie Coyle, Marco Scandella or Jonas Brodin. Compare that with Boston’s likely protection of Riley Nash and you get the full scope of the Bruins’ advantageous position. Speaking of Brodin, had Boston acquired him he would have taken Kevan or Colin Miller’s slot for protection. Though I would prefer to employ Brodin than either of the Millers, Kevan (the presumed third defenseman protected) would likely be heading to Vegas. “Killer” really started to come into his own last season, especially in the playoffs, and the loss of his versatility and toughness would serve as the most bitter pill Boston could swallow. Once the expansion draft concludes, teams will no longer need to operate with protection lists in mind. As such, players like Ryan Spooner (a likely trade chip) will see an uptick in their value on the market. It’s no secret that Spooner has likely played his last game in Boston. He was most recently a fixture in many mock trades for Jonas Brodin, being paired with Boston’s first-round pick. Considering Minnesota’s aforementioned protection issues, this was unlikely from the get-go. Moreover, despite a down-year from “Spoons,” is using him as a throw-in the best maximization of his value? He’s still a 25-year-old center averaging 44 points over the past two seasons. Once the expansion draft ends and players are selected/lost, doors open for prospective sellers. The Dallas Stars could very well lose center Cody Eakin. The Islanders were already starved for depth down the middle last season, and could now lose Ryan Strome. Winnipeg stands a decent chance of losing Mathieau Perreault. All three of those teams will likely be in the market for a bottom six center come June 22. Moreover, none of those teams are necessarily contenders, nor are they undergoing a rebuild. They’re the muddled-middle, and are likely looking to acquire NHL-ready talent without breaking the bank. Provide additional ammunition should Boston attempt to pry a top four defenseman or top six forward from a rebuilding team. I’m a fan of Jonas Brodin. 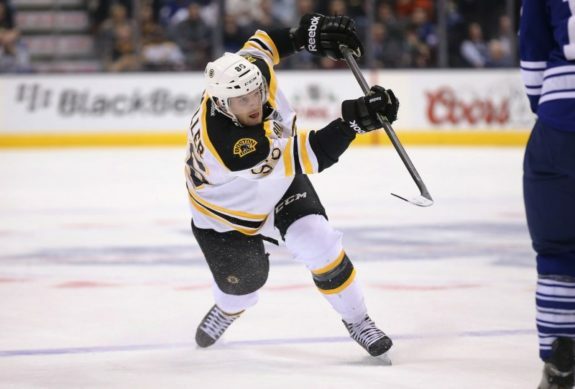 In fact, it was less than a week ago during a Bruins Round Table that I suggested Boston offer their first-round pick and Frank Vatrano for his services. I love his game, age, projectable arc and cap hit/term. Mostly, I believe his acquisition would have had a fortuitous domino effect throughout Boston’s blue line. That looks excellent, doesn’t it? Boston’s second pairing from a year ago would become the third pairing moving forward. 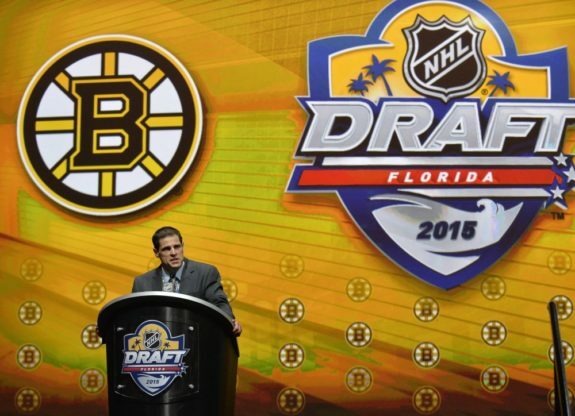 #NHLBruins have been one of busiest teams leading into today, #NHLExpansionDraft & #NHLDraft. GM Don Sweeney & staff doing due diligence! Jonas Brodin is not the kind of player you overpay for. Think back to last year, before Brandon Carlo and Charlie McAvoy proved they were ready for the bright lights of the NHL. Boston’s repeated inquiries about Jacob Trouba were met with, “We want Pastrnak.” Winnipeg GM Kevin Cheveldayoff had no reason to not shoot for the moon, and Don Sweeney wisely resisted, despite the team’s apparent need for a top pairing defenseman. 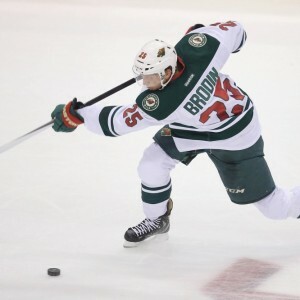 The Bruins were hardly the only team interested in Brodin’s services. The bad news is that they were unable to acquire him. The good news is that no other team swooped in to facilitate a deal (especially Montreal or Tampa Bay). It’s clear that GM Chuck Fletcher’s asking price was too steep for the entire league and not just Don Sweeney. Ultimately, no move is better than a bad move. With rosters now set prior to the expansion draft, Boston has indeed missed out on their best chance to acquire a legitimate top four defenseman. With the threat of losing a prized defender for nothing now gone, teams will once again be steadfast in their refusal to part with such a player for anything less than a veritable cornucopia of talent and assets. The Bruins do have other options however, regarding the improvement of their team. For starters, they still have the 18th overall pick in the upcoming entry draft. This can be used as currency to address their need for a top six left wing (Duchene, Landeskog) or simply to draft a talented youngster, adding to their bouquet of prized prospects. There are worse things than holding onto a Top 20 selection in a deep, albeit unspectacular, draft. As I mentioned in a previous article , there are great fits available for Boston at 18th overall. Though none of these amateurs would provide the kind of immediate impact Boston is looking for, first-round picks are still worth their weight in gold. 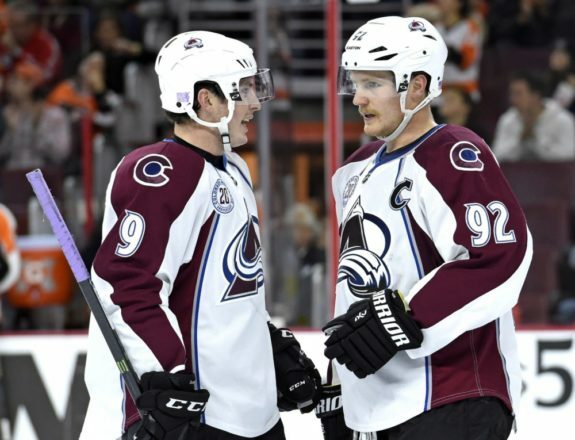 As for Landeskog and Duchene, their team is officially beginning a full-on rebuild. GM Joe Sakic would love to parlay one of them into a top four — preferably top two — defenseman. But seeing as though they will not be competing any time soon, there’s certainly wiggle-room for a prospect-rich squad like Boston to facilitate a deal based almost solely on futures. The 18th overall pick this year would be requisite. Should Boston lose a defenseman in the expansion draft, they’ll likely look to free agency to bolster the unit. In fact, they’ll probably look to free agency to solidify their blue line regardless of whom Vegas selects. Though there isn’t a Jonas Brodin-level player on the market there are quality depth options. Battle-tested defensemen such as Johnny Oduya and Trevor Daley would serve as a quality insurance policy, capable of eating minutes on the second or third pairing. Oduya is a solid penalty-killer and defensive zone presence while Daley does a nice job in transition and can quarterback a team’s second power play unit. 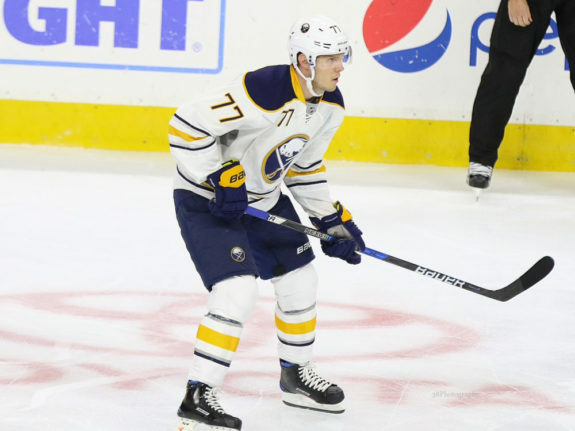 Dmitry Kulikov could be an excellent investment for Boston on a one or two-year “prove it” deal. After a poor season in Buffalo, Kulikov could stand to re-establish his worth. Bad players don’t sign three-year, $13 million contracts, and the Russian rearguard is better than last season would indicate. He’s an excellent skater who loves joining the rush and blasting shots from the point. Finally, I’m not convinced that Mark Streit is finished. He didn’t log many minutes in Pittsburgh following his deadline trade from Philadelphia, but he still managed 27 points in 68 games. He’s still a swift-skating and savvy puck-mover, capable of quarterbacking a power play. 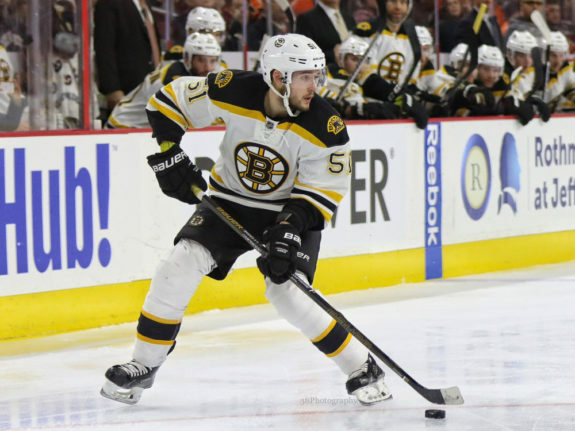 Playing alongside a more stay-at-home presence like Kevan Miller or Adam McQuaid would go a long way toward hiding some deficiencies that have crept into his game with age. At this point in his career, Streit’s really nothing more than a good team’s sixth or seventh defenseman. Boston can do worse than signing him to a cheap/short deal — maybe one-year, $1 million — to provide veteran depth at the position, should a more impactful defender be unavailable or too expensive. Alas, the expansion draft roster freeze came and went without much fanfare for the Bruins. Though Jonas Brodin’s acquisition would have been a coup for a Bruins team in need of his exact skill set and position, failing to secure his services doesn’t really constitute as a failure. As evidenced by his lack of movement anywhere, it’s clear that either the asking price was simply too steep, or rumors of his departure were exaggerated. There are causes for excitement, however. Don Sweeney refrained from overspending for anyone’s services. The team remains in excellent position ahead of the expansion draft. Ryan Spooner’s trade value will marginally increase following the expansion draft. The 18th overall pick is still Boston’s — they can use it for themselves, or include it in a package to land a marquee forward for their top six. Quality depth options on defense will be available to the team via free agency. There’s no need for panic or frustration. The offseason is just now getting under way.